Anyone who is a goat cheese lover knows that this cheese has an infinite number of possibilities. Those who loves truffle know that this refined taste can make a cheese even better in many ways. Anyone who is a goat cheese lover knows that this cheese has an infinite number of possibilities. Those who loves truffle know that this refined taste can make a cheese even better in many ways. 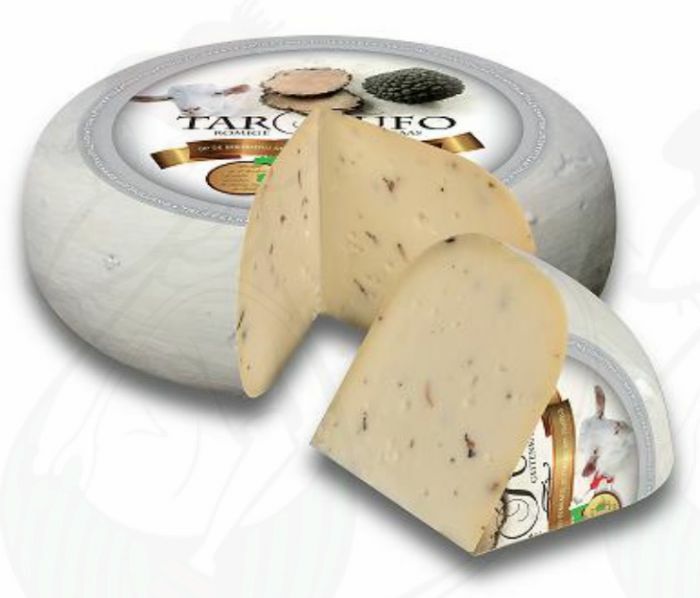 Tartufo brings both flavours together in a delicious creamy goat cheese from Dutch soil. Traditionally prepared on a Dutch farm, but with the delicious taste of real black truffle from Italy. A cheese to enjoy often and long. With a maturation of 8 to 12 weeks, the goat's cheese is steeped in the smell and flavour of the truffle, where you can taste Italy, as it were. Truffle cheese has never been so good. Tartufo is versatile in use and often gives just that extra taste experience that is needed. Of course, this cheese is wonderful on toast or to enjoy while having a glass of wine, but also serves well in a sandwich. Tartufo is also very suitable for use in oven dishes and various types of dishes. Both as an ingredient in a dish and gratin an oven dish, the versatility of this cheese offers many possibilities. Grate the truffle goat's cheese and sprinkle it over a pasta dish to give it a delicious creamy taste. Just smell alone leaves you mouth-watering. This is a cheese that deserves to be enjoyed with great pleasure. Experience Italy through the flavours of Tartufo.